"Now the whole world is watching." Magnolia Pictures has released the full-length official US trailer for an indie action drama titled Woman at War, coming from Iceland (as their Academy Awards submission this year) - following the first teaser a few weeks back. This premiered at Critics Week during the Cannes Film Festival last year, and played at a bunch of other fests since then. The film is about a woman named Halla, who declares war on the local aluminum industry to prevent it from disfiguring her country. 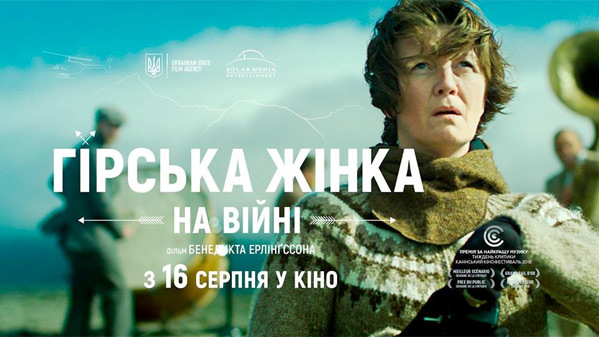 She risks all she has to protect the highlands of Iceland, until a long-forgotten application for adoption is approved, changing everything when she learns there's a girl waiting for her in Ukraine. Starring Halldóra Geirharðsdóttir, along with Jóhann Sigurðarson, Juan Camillo Roman Estrada, and Jörundur Ragnarsson. This looks so damn good - addressing contemporary issues in a unique, challenging, provocative way. I'm all in. You can also watch the teaser trailer + international trailer for Woman at War here, to see more footage. Halla (Halldóra Geirharðsdóttir) is a fifty-year-old, independent woman. But behind the scenes of a quiet routine, she leads a double life as a passionate environmental activist. Known to others only as "The Woman of the Mountain," Halla secretly wages a one-woman-war on the local aluminum industry. But right as she begins planning her biggest and boldest operation yet, she receives an unexpected letter that changes everything. Her application to adopt has finally been accepted and there is a little girl waiting for her in Ukraine. As Halla prepares to abandon her role as saboteur and savior of the Highlands to fulfill her dream of becoming a mother, she decides to plot one final showdown. 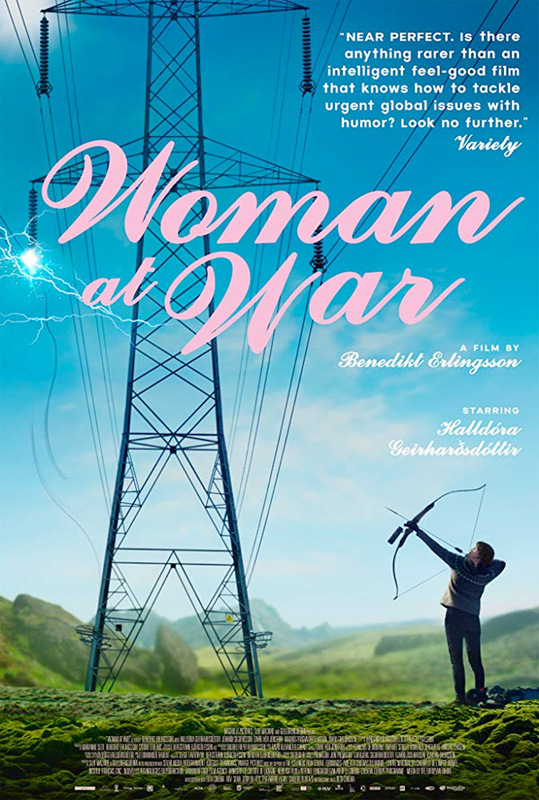 Woman at War is directed by Icelandic filmmaker Benedikt Erlingsson, director of the film Of Horses and Men, and the doc The Show of Shows, previously. The screenplay is written by Ólafur Egilsson and Benedikt Erlingsson. This premiered at the Cannes Film Festival in the Critics Week sidebar earlier this year, and also played at the Toronto, Sydney, Helsinki, Vancouver, Hamburg, Busan, Adelaide, London, and Reyjkavik Film Festivals. Magnolia will release Erlingsson's Woman at War in select US theaters starting March 1st, 2019. Who's interested?